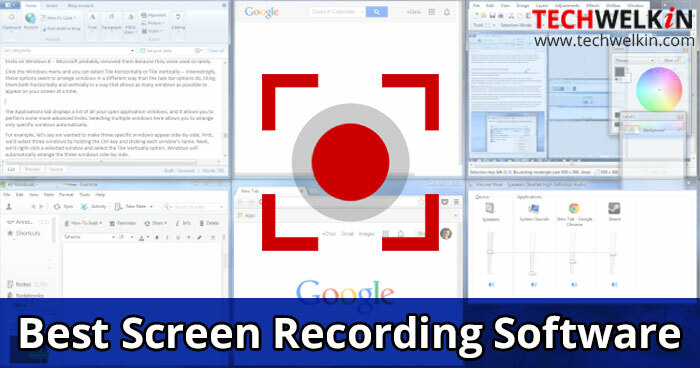 Screen recorder software help you make professional looking video tutorials and presentations. In this article we list some of the best screen recorders available out there. The list includes both free and paid tools. Have you ever wondered how those YouTube tutorials are made wherein they show you how to do something on your computer? Many people think that these videos are made by placing a camera in front of the computer screen. But that is not true. For making such computer tutorials, all you need is a screen recording software. Screenshot capturing and screen recording is not only popular, but has become a necessity for professional and personal use. Whether it is product training or classroom training or professional blogging, you need a screen-recording tool to capture the processes efficiently and professionally before making it available to the end users. Most built-in screen capture tools bundled with the OS have limited features, so finding a good free or paid third party tool becomes a necessity. This article will list some of the best screen recorder software. We will include both free and paid tools in this list. These tools will help you create professional looking screen recorded videos. With Camtasia Studio, you can record your screens and then turn those recordings into professional looking videos with ease. After video editing and tweaking, you can directly share your videos with YouTube, Google Drive, and screencast.com. Having used Camtasia for years, it definitely tops my list of best screen recorders. With Camtasia, you can set the program to record either the screen or a PowerPoint presentation. The clear and perfect recording provides you with an excellent framework to add your final professional touches. Camtasia Studio also provides transition options, voice narration, zoom and pan effects, cursor effects, captions, quizzing, and more. Audio quality of your voice recording can be improved with the help of the built-in tools. You can buy Camtasia Studio for $199 or try the free trial version for 30 days before investing in the tool. CamStudio is an open-source Screencasting program for Microsoft Windows released as free software. It is a tool to create quick demos and screencasts on your computer in AVI and, if required, convert them into Flash format. Main features include options to highlight the cursor path during a recording session, automatic panning, and recording with sound. You can also annotate and append videos with comments, and add a time stamp or watermark and capture screenshots. Overall, CamStudio is a great free screen recording tool that helps you take advantage of open source software to produce instructional videos and screen captures for your professional and personal needs. ActivePresenter is a free screen recording tool to create manuals, e-learning materials, presentations, screencasts, and demonstrations for training, education, business presentations, customer support, and similar applications. It is compatible with SCORM and supports a number of file types. ActivePresenter’s free version supports all the common features that we expect in a good screen recorder software. The Standard and Pro editions include features like export capability, definable events, and MS-Office compatibility. It also includes user documentation in PDF format. For a free version, ActivePresenter has enough options and settings to meet your requirements. It is worth a try. Snagit is another great tool from Techsmith. I have used Snagit also for many years — and according to my experience it deserves a rating at the fourth spot for its amazing capabilities. For a price of $49.95, it is definitely worth a try. You can also download the full trial version for 15 days. With Snagit, you can easily create custom images and videos for demos, feedback, and reviews etc. These videos can be enhanced with various effects. Audio can be included in your videos from either a microphone or your computer’s system audio. Snagit allows you to toggle between webcam and screen recording during a video. I found the tool intuitive and never required support. 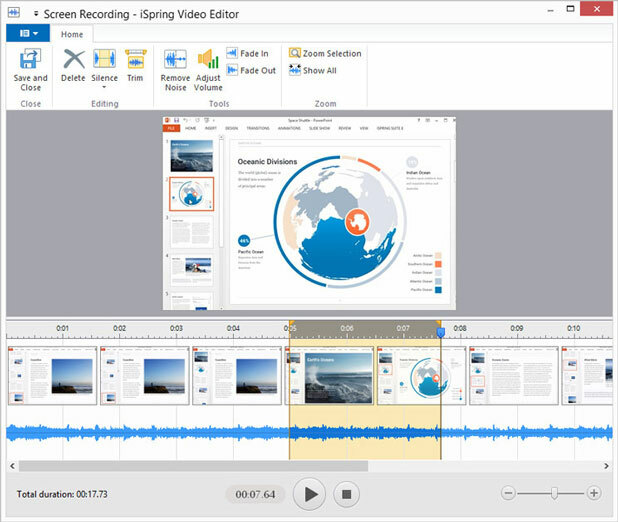 The videos created, are shareable with Snagit’s wide range of outputs. 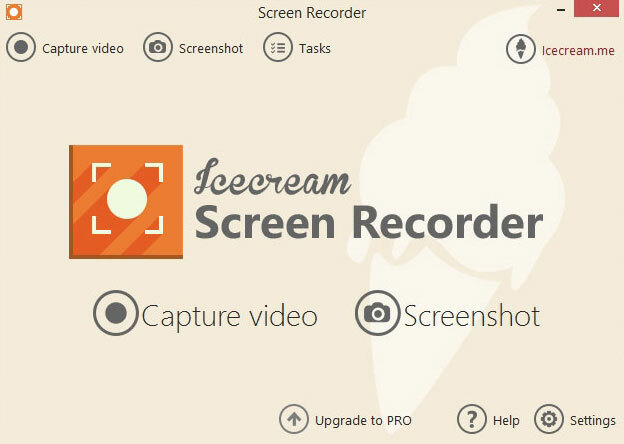 Icecream Screen Recorder is a screen recording software that records any on-screen activity and saves it as a video file or screenshot. You can record the screen to create video tutorials, record both audio and microphone, capture webcam, record games or streaming videos, schedule screen recording, take screenshots of a selected area. It supports zooming in and out and you can save the videos in MP4, MKV and WebM formats. Icecream Screen Recorder also includes customization tools for your specific needs. It is available in two versions — the free version with certain limitations and the Pro version with full capability. With the free version the recording time is limited to only ten minutes, and the only output file format supported is WebM. To avail the full featured software you can upgrade it for $29.95. Ezvid is a popular tool for those who love to make videos and upload them to YouTube. If you like to create videos and instantly upload to YouTube, then look no further. Ezvid is the tool you are looking for sure. With its video editing features, Ezvid is one of the preferred free screen recorder tools. Worth mentioning features, include auto-save functionality and built-in YouTube upload. You can create sharp and high-resolution videos and edit them, make speed changes, re-arrange, add text, image slides, and much more. Creating a screen recorded video has never been so easy and quick. Jing is a free screen capture and recorder from Techsmith. It is easy to use and provides free online storage from Screencast and unlimited image and video capture powers. Jing allows you to share images and movies quickly and easily while chatting or emailing. You can capture anything on your screen as a static image or a movie, then save it or store it on TechSmith’s free 2 GB of server space, hosted at screencast.com. Jing allows you add text, arrows or highlight sections of your screen capture. This feature is useful for teachers who like to add notes on top of images or text. It is free and a must try, however a Pro version is available for $14.95/year. iSpring Free Cam allows you to record any part of your screen, edit recorded video, and upload it directly to YouTube or save as WMV. The intuitive interface makes it easy to use. The advanced options include customizable recording area, advanced audio settings, mouse indication, audio & video recording and direct one-click upload to YouTube. You can save the recordings as high-quality videos in WMV format. If you are a PowerPoint fan, then iSpring Free Cam is for you. It allows you to insert Flash files directly into your slides and publish the presentation Flash videos. SmartPixel is a free and easy to use screen recorder and video editor tool for Windows and Android. The video editing features helps create high quality professional videos with less CPU consumption and lower disk usage. SmartPixel screen recorder has area, full screen as well as PIP screen capture mode. The PIP mode helps to record webcam videos and microphone audios during desktop screen capturing. It is a perfect game recorder for gamers to create tutorial videos. You can adjust resolutions, frame rates, brightness, etc., for better video quality. SmartPixel video editor also provides easy to use video editing features to help you clip, merge, and split your videos easily. You can also insert subtitles, text effect, filters, background music, audio clips as well as dubbing for your videos. After editing, you can export the video clip with FLV, AVI, MP4, WMV and other general formats. Video gamers can upload and share their videos directly via SmartPixel by using their social media account and it is definitely one of the best game recorder & video editor for PC and mobile gamers. Rylstim Screen Recorder is an ideal screen recorder for software tutorials and supports a good range of export formats. It does not support sound recording, however, you can add audio at a later stage using another free app. This screen recorder is free! I had no issues while testing it, however, the result was anything but professional. This tool is okay to use if you are a first time screen recorder because it is simple. After getting a hang of using the tool, you can select one of the tool mentioned above, to create your professional videos. Whatever your profession or needs, well-made videos go a long way to convey your thoughts to your audience.